Shalom Chaverim – Just a note to say that during this time of studying Pirkei Avot I was trying to update the text for it on my site and realized that I had some serious errors. Not only did I have wrong numberings of mishnayot, but chapter two was incomplete. I was missing 5 mishnayot! 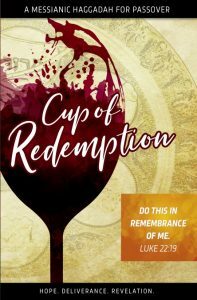 I am in the process of cleaning up all six chapters, as well as adding the Hebrew, so…if you see any errors on the pages that I have finished adding the Hebrew, please let me know so that I can correct them. Your help is appreciated. Please note: I just changed my comment posting settings on my site. You will need to register and be logged in before you can post a comment. This should not be cumbersome, but an extra step you will probably need to take in order to post a comment. Over the last few months I have accumulated 5,491 spam comments on my site that I continually have to delete. Therefore, I’ve added a level of security that will help me not to have to deal with this as much. Thanks for understanding. Thanks for your comments. I sincerely appreciate them. Hillel would say: Be of the disciples of Aaron — a lover of peace, a pursuer of peace, one who loves the creatures and draws them close to Torah. Everyone wants it; few are willing to pay the purchase price. We live in an age of consumerism. Mass production, tantalizing marketing and effortless credit have created a generation who is a slave to our impulses, aiding our impetuousness and undermining self-restraint and long-term security. We are perfectly content with accumulating many years of painful debt for a moment of credit bliss. When something breaks, it is easier to just purchase a new one on credit, than to scrape up the cash in order to fix the one we already own. This mentality has directly affected our relationships with others. When we are offended by another person, it is easier to discard them and acquire a new relationship than to fix the “old, outdated” one into which we have already invested. Unfortunately, repairing the “old” relationship appears to be too costly and outweighs the payoff in the eyes of the consumer. Thus we leave a trail of broken relationships and broken people in our wake. Being a peacemaker doesn’t mean picket signs and protest rallies. It means rolling up your sleeves and getting your hands dirty. The Hebrew behind Yeshua’s statement is “אַשְׁרֵי עֹשֵׂי שָׁלוֹם כִּי–הֵם יִקָּרְאוּ בְּנֵי–אֱלֹהִים”. An oseh shalom (עשי שלום) is one who makes or creates peace. Herein lies the truth of being a peacemaker. If, indeed, a peacemaker is one who makes peace, it stands to reason that being that peacemaker requires action. If we are making peace, then we are in the process of creating. Creating is an action verb. Being a peacemaker doesn’t mean picket signs and protest rallies. It doesn’t mean burying your head in the sand. It means rolling up your sleeves and getting dirty. It requires getting out of your comfort zone. It requires affecting those around us. It requires time, skill, effort, and expense. It requires effort, and lots of it. It requires us to be active, rather than passive in our approach to making peace, not only between us and another person, but between others even when we are not directly involved. It requires sacrifice. This is why we are to be disciples of Aaron. He both knew how to make peace and put it into practice. Therefore peace was made between one man and another. It took Aaron getting involved, rather than merely praying for them. It required him to be vulnerable to being the brunt of his brother’s anger. For those familiar with the Chofetz Chaim (which translates to “Desire of Life“), you know that the hallmark of his namesake is found in Psalm 34:12-14, which states “Whoever of you loves life and desires to see many good days, keep your tongue from evil and your lips from speaking lies. Turn from evil and do good; seek peace and pursue it.” He spent his entire life dedicated to learning and putting into practice the laws of proper speech and ethical conduct. He both sought peace and pursued it with his entire being. Boaz Michael has aptly noted that being a peacemaker should be inherent for disciples of the Sar Shalom (Prince of Peace), Yeshua HaMashiach. We should be the first to bring peace to others, rather than sitting by idly while strife manifests between brothers. Avoidance should not be our method of dealing with conflict. The Apostolic Writings are full of such instruction. In his epistles, Rav Sha’ul speaks on peace at length. He encourages us to “Make every effort to keep the unity of the Spirit through the bond of peace,” (Ephesians 4:3). In Romans 8:6 he also reminds us that “The mind of sinful man is death, but the mind controlled by the Spirit is life and peace.” He also tells us “If it is possible, as far as it depends on you, live at peace with everyone,” (Romans 12:18). 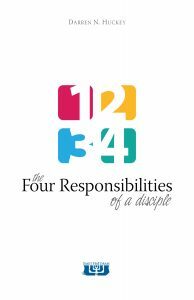 He says we should “make every effort to do what leads to peace and to mutual edification,” (Rom 14:19). 1. Goldin, Judah. The Fathers According to Rabbi Nathan. Yale University Press, New York, 1955, p. 64. 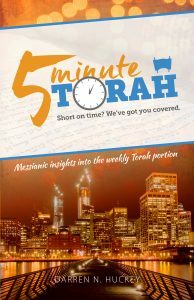 If you would like to check out a sample of A Daily Dose of Torah, you can download an entire week’s worth of (parashat Acharei-Mot) from this link. You don’t want to miss getting this particular week’s lesson, due to the correlation between the commentary included in the Torah Thought for the Day and the meaning of the death of our Messiah. Young children will love to color with Isaiah the prophet and help him find the new moon! Older kids can become a Disciple Detective, while teens can focus on the practical life lessons found in Scripture with the new study, Pirkei Avinu (Sayings of our Father). More on FFOZ’s eRosh can be found on the FFOZ blog. Be sure to sign up for this free resource on the FFOZ website.